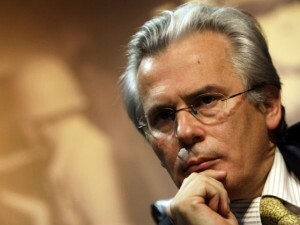 With one unprecedented dissenting vote, the Spanish Supreme Court has rejected a second appeal filed by the defense of Judge Baltasar Garzón, who is being tried for allegedly overstepping his judicial boundaries when he opened a case to investigate crimes against humanity committed under Franco’s rule, in October 2008. Público reports that the Court does not consider unacceptable the substantive help that Justice Varela, who is in charge of the case, granted one of the three principal plaintiffs, the extreme right-wing public-servant union Manos Limpias, by asking them to “revise and resubmit” their accusation, along with detailed instructions on how to make the document pass legal muster. Varela’s actions, calling into question his impartiality, sparked surprise and outrage in the legal community. The decision on the appeal was made in late July, but only publicized now.